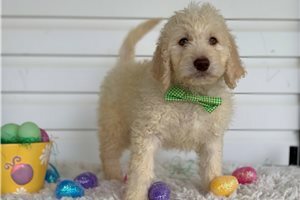 This Goldendoodle nicknamed Loki sold and went to a new family. Honey our English Cream Golden Retriever is having her litter with Rusty, our apricot Poodle this fall. Puppies are expected to be ready for their new homes in December. For more info & pictures of parents and previous litters go to our website MorningGloryDoodles.com & look under the various tabs. Please note, the past litters page loads slowly (from the bottom) due to all the pictures on it, so be patient! You can reserve one either in person or via the mail. These are "Teddy Bear face", F1 & F1b Golden Doodle pups sizes range from very small to BIG from our different moms and dads. Their colors deepen as they grow and become deeper Apricot or Cream (*and many shades in-between). You are welcome to email to arrange an appt or check on availability for them. We are located in Central TN, between Nashville & Knoxville. ALL our litters normally sell out well before they arrive & we have people already on future litters for all of our mommas next litters as many of our puppies have gone on to become service dogs word of mouth has put them in demand so very rarely do we have any available puppies that you can just come here and pick one out when it is ready to go home. So people wanting ones from the litters that are due soon can get on a mass email "call back" list that in the event there are bigger litters and we have extras, it is first to get back to us with putting a deposit down that get them. We do not email each person individually. However people that already have deposits down on any litter, get first dibs on any extra pups from a diff litter that suit them. 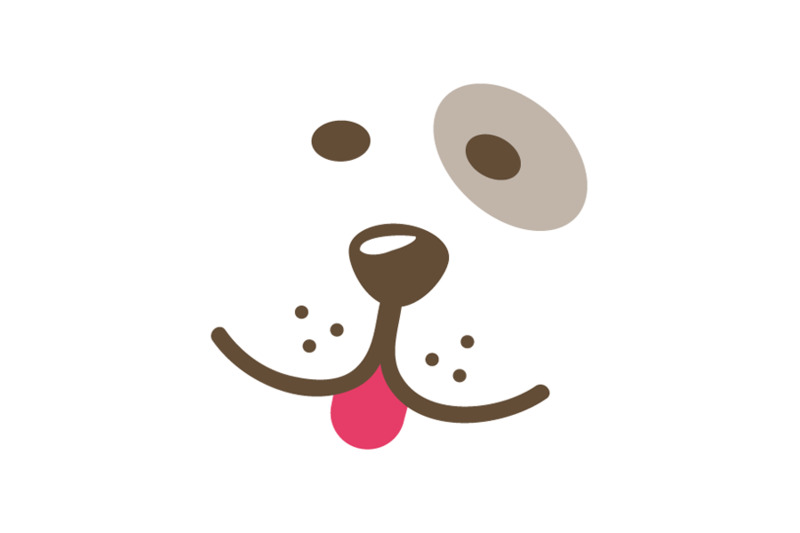 (*they can switch their deposit to a diff litter/pup) People on the lists closest to that litter with the extra pups get first option and so on. You take I40 to Cookeville (which is 1/2 way between both cities, then take the exit 288 towards Sparta, TN (also a 4 lane highway) for about 25 minutes & 1 right turn, go 3.5 miles & you are at our driveway! It is entirely ALL 4 lane highway until you turn down our road. No wiggly back roads, we are VERY easy to get to! 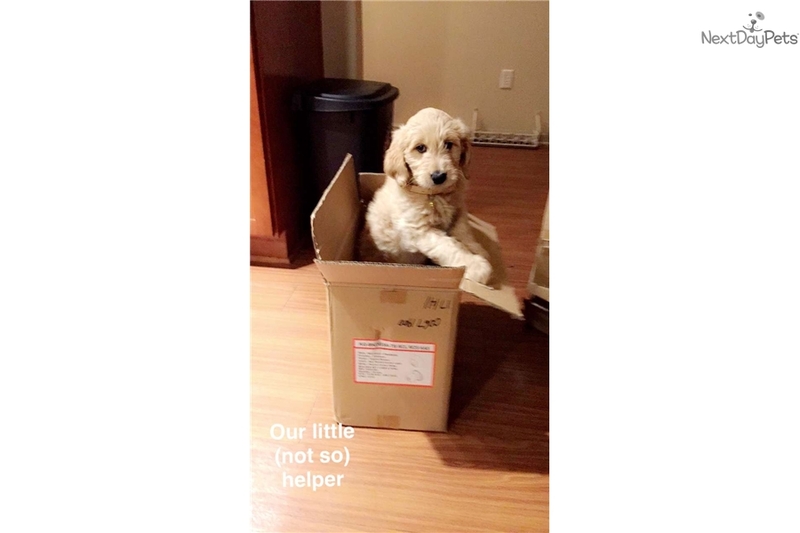 If you need a puppy shipped you would have to pay whatever extra costs are incurred to ship it & wait until it is 8 weeks old as per airline rules unless you want our door to door delivery. Info for this is on our website. 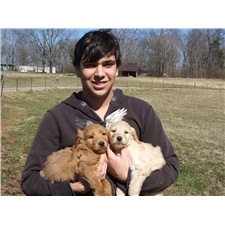 *We usually fly them out via Delta as they have the best conditions for the puppies.